Understanding The Importance Of Engagement On Social Media. Did you know that the average person will spend just shy of two hours every day browsing social media platforms? In fact, according to the Global Web Index approximately 30 percent of all online time is allocated to social media interactions. In this vein, social media engagement is no longer about the number of Facebook likes or Instagram followers. Instead, it is the measurement of your business' ability to engage with your potential audience and existing followers. While the number of followers is still important, what is more valuable is understanding how many of those followers are actively interacting with your brand. Establish the social proof for your business, which can lead to more (and higher quality) inbound leads. Receiving more inbound leads of higher quality also creates an accelerated sales cycle for your sales team. Create an expanded market reach, which can help you to branch into new sectors and connect with larger audiences of potential customers. Boost brand awareness, which can help to solidify your current customer relationships, while simultaneously helping your sales team connect with inbound leads. Overcoming The Most Common Misconception. The most common misconception that businesses have with social media is that "it doesn't drive revenue." Like any misconception, the latter statement is inaccurate. In fact, social media platforms can easily be used to attract high quality inbound leads, which will lead to increased sales. At their core, social media platforms are data powerhouses. They hold significant amounts of data that can help you to better understand your intended audience. When you understand your audience, you are automatically able to create content that resonates with their unique needs. Through the latter content, you can effectively connect with potential customers who are entering the awareness stage of their buyer's journey. During the awareness stage, customers recognize that they have a problem and are just beginning to seek a solution. By creating and publishing content that speaks to the common problems of your customers, you can attract new prospects to your business. The latter inbound leads will then engage with your social media posts. Once a lead has engaged with your social media posts, it will be your job to continue to provide them with the information that they need to a) resolve their current problem, and b) build their business. Keep in mind that before you can use social media to engage with new customers and prospects, you must first discover the right platform. To identify the right platform you will need to create buyer personas. These personas will help you to identify the key characteristics of your potential customers, which will help you to successfully identify where you should focus your social media efforts. At this stage, you will then need to develop a social media management plan and most importantly, stick to it. 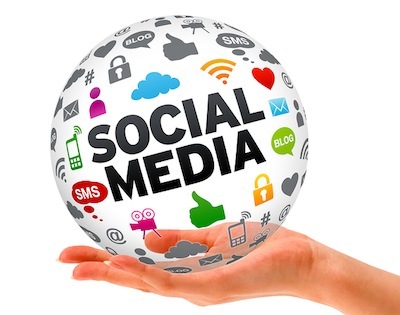 Develop A Social Media Management Plan And Stick To It. Social media is a vital component to a successful inbound marketing strategy that focuses on attracting prospects and engaging with current customers. Unfortunately, far too many businesses become "stuck" with social media. They grapple with the fact that social media can be time-consuming and at times hard. The good news is that there are countless tools, such as Sprout Social, which can be used to automate your social media efforts. We actually use Sprout Social for our social media management and as a Sprout Social Partner, we use it for the clients that we serve as well. Identifying the tools and technologies that you need to implement your social media management plan will be crucial to ensuring that you actually stick to your plan. It's important to note that social media isn't something that you can simply turn on, sit back, and expect to have amazing results. It will take time and effort, fortunately, there are companies like us that can help increase your social media engagement so that you drive more inbound leads. Through a cohesive approach that leverages helpful and engaging content, you can use social media to connect with your prospective customers. You can even use social media to handle customer services issues, which will offer the social proof that your business needs to grow a large following of loyal brand ambassadors. With all of these benefits in mind, it's time to examine the key components of an effective social media management plan. Set specific goals. -- These goals should be measurable, attainable, and relevant to the needs of your business (and customers). Create buyer personas based on real data. -- Gather the data you need to truly understand who your potential audience is, including the business problems that you can help them resolve. Deliver impactful and engaging content. -- Your social media content should reflect your genuine desire to help your customers. Engage in social media listening to keep a pulse on your competitor's activities. -- Social media offers a unique opportunity for your inbound leads to connect with multiple companies at one time, which means that it is your job to listen and respond to their unique needs. Set-up accounts, create a publishing timeline, automate effectively, and adjust as needed. -- Creating a powerful social media presence takes time, which is why you need to leverage automation tools. Be sure to create (and stick to) your publishing timeline. Measure your results, analyze if you are reaching your specific goals, and adjust your strategy to meet the needs of your intended audience.